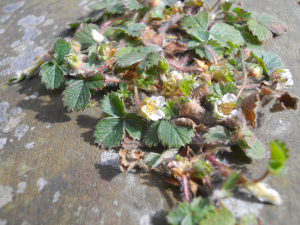 Observation - Barren Strawberry - UK and Ireland. Description: Small strawberry sp. growing on the edge of a burial area in a cemetery. Small strawberry sp. growing on the edge of a burial area in a cemetery.